Improved appearance and enhanced curb appeal. Protection from the elements and pests. Better insulation that improves energy efficiency. Which Type of Siding Should I Choose? 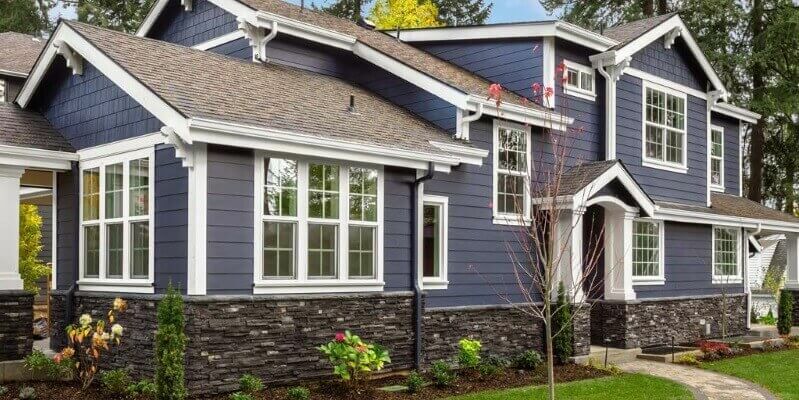 Choosing the right siding for your home can be a daunting task, but the siding experts at Tri-County Contracting are here to help. We are certified to sell and install every type of siding, including vinyl, engineered wood, fiber cement and cedar lap siding. With four decades of experience and expert training from our manufacturers, our contractors will help you determine the very best option for your home exterior. Whether you’re looking for maintenance-free, durable vinyl siding with lots of color and texture choices, or a material such as engineered wood that’s created to look and feel like real cedar without the high costs and maintenance, we’ve got an option to suit every style and budget preference. We even offer a 25-year paint warranty to ensure your siding provides lasting beauty for decades to come! Tri-County Contracting is one of the few local contractors that offers a full showroom, complete with a small-scale model home to show the siding possibilities for your home’s exterior. Stop in at our showroom location in New Berlin and discover what we have to offer! Call the Siding Specialists at Tri-County Contracting! Enjoy the many benefits of new siding with quality installation from Tri-County Contracting. We also provide siding repair services if your home experiences sudden storm damage or the effects of normal wear and tear. Call us today at (262) 679-6100 or fill out our online form to get your siding estimate. We look forward to serving you!